On Saturday we joined Vauvert PTA School Fete and from all at the GSPCA we would like to say thank you. The GSPCA team arrived just after 12pm to set up and brought along a few of the rabbits looking for homes and the resident tortoise. The gates opened at 2pm and the children, parents and family poured in to enjoy the schools stalls. The GSPCA would like to thank everyone that popped along to our stall to say hello to the animals and play the tombolas and games we took along to raise funds for the hundreds of animals in our care. The GSPCA offers Shelter tours to school groups to teach children about looking after animals and the work we do onsite. 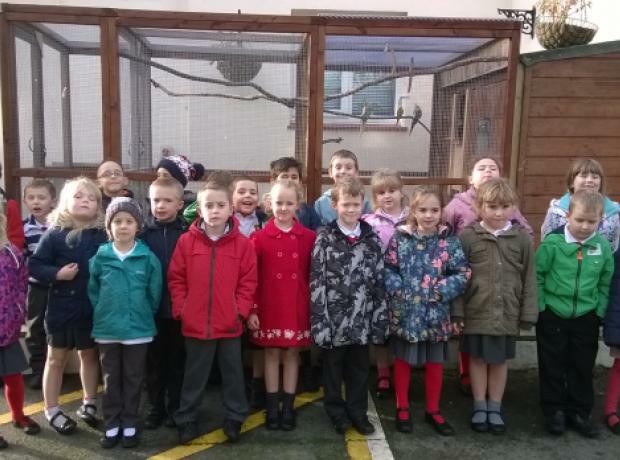 Pictured are Vauvert Primary year 2 students (above), and Castel Primary year 1 students (to the right).